According to a recent Gallup poll, once again, for the 4th year in a row, real estate remains the top choice of Americans best long-term investment. 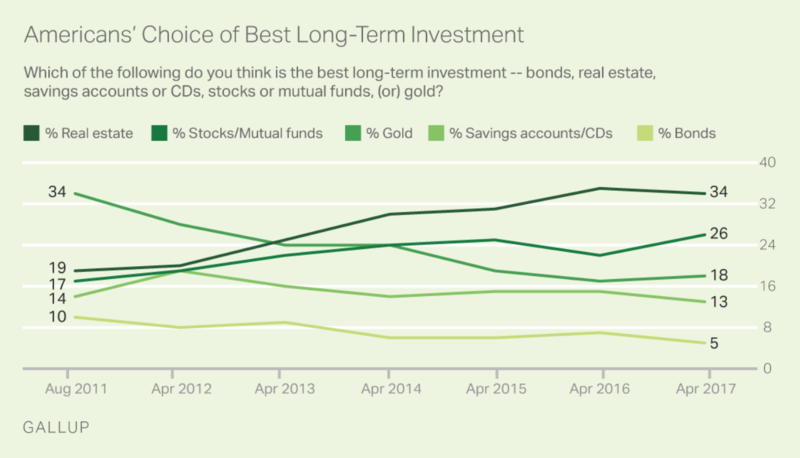 The results found that 34% chose real estate, 26% chose stocks, 18% chose gold, 13% chose savings accounts/CD’s, and 5% chose bonds as the best place to out money for the long-haul. Want to learn more about how to get started in real estate investing? click here.